influence pleaded not guilty today to two misdemeanor charges. 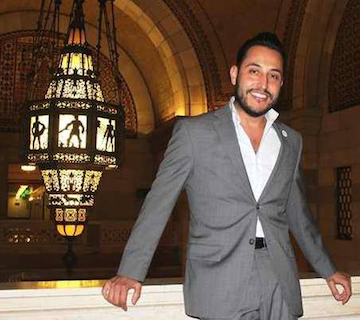 An April 20 pretrial hearing is scheduled for Fredy Ceja, 36, a spokesman for First District City Councilman Gil Cedillo. Ceja was arrested at 12:06 a.m. Saturday at Sixth and Spring streets in downtown Los Angeles. He was released on bond early Wednesday. According to the Los Angeles City Attorney’s Office, Ceja is charged with driving under the influence with a prior DUI conviction and driving with a blood- alcohol level exceeding 0.08 with a prior DUI conviction, both misdemeanors. Both charges include an enhancement of refusing to submit to a blood-alcohol test. A Los Angeles Police Department source told the Los Angeles Times that Ceja’s car collided with a Metro bus. 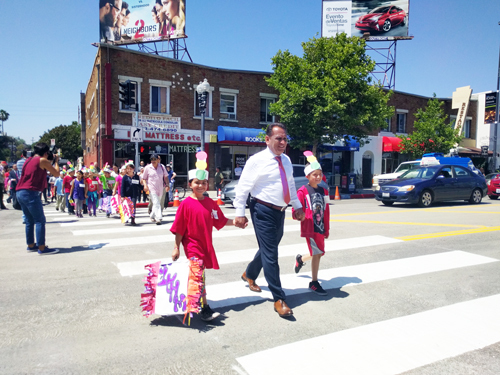 Cedillo’s chief of staff, Arturo Chavez, said Ceja was cited for DUI during his off-work hours while using his personal vehicle, but declined to comment further, calling it a personnel matter. Records cited by The Times suggest Ceja and Torres may have had earlier brushes with law. A man matching Ceja’s name and date of birth was arrested by the LAPD near the southbound 101 Freeway in December 2009 on suspicion of driving under the influence, according to jail records reviewed by the Los Angeles Times. He was later charged with driving under the influence of alcohol and reckless driving, and he pleaded no contest in 2010 to reckless driving, according to court records. At a May 3, 2010, sentencing, he was given 36 months probation and 30 days in L.A. County Jail, according to court records.